Are you inspired to join your kids in playtime and laughter? Are you looking for a product that can, not only be a way to laugh and play but can also help you educate and watch your kids as well as enhance their skills? 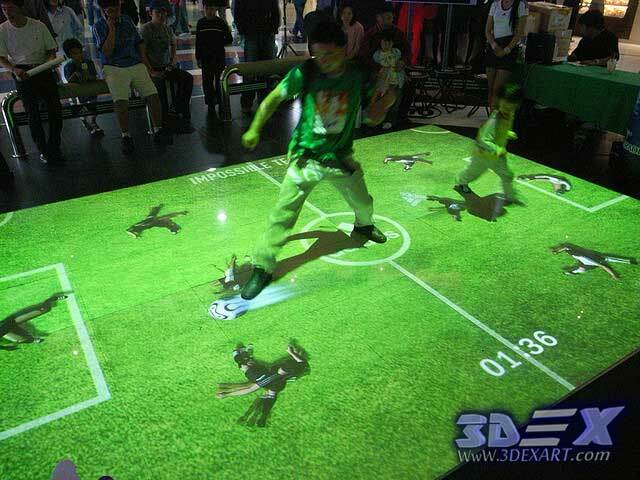 The interactive floor gaming systems technology creates a new and different world of fun and education for your kids. 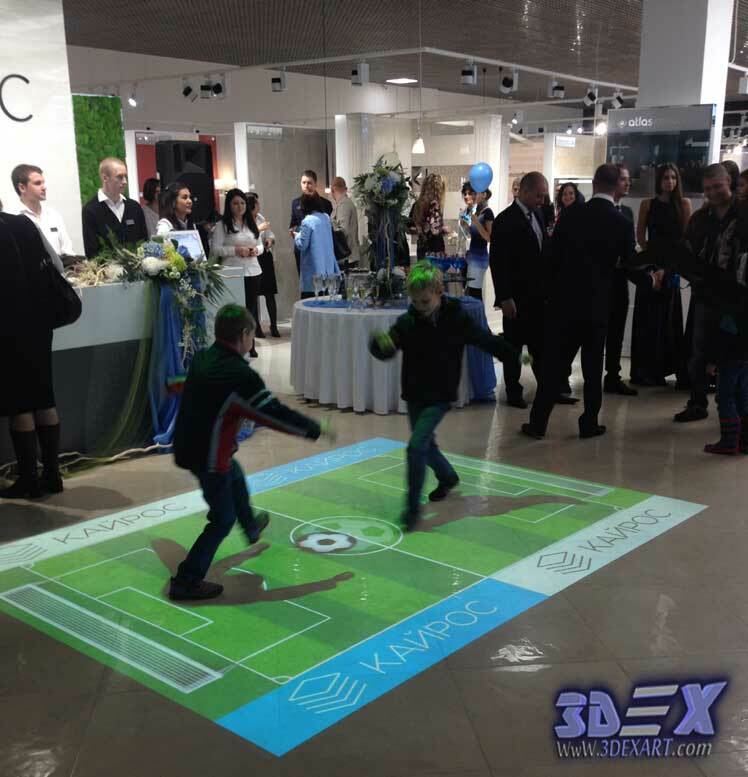 Interactive flooring systems for games cannot be compared to any other kind. It’s considered as one of the most important outcomes of using modern digital projection technology, for it allows you to translate all your movements into imagination. This is due to how it’s capable of changing the boring interior and activity between your kids and all your family members. With a quick far away glance you’ll find that it’s basically a static image on the floor or a slightly dynamic one, but if you stood on top of it or moved on it, you will watch everything transforming and coming to life. The flowers blossom around you, fish float away from you and balls start to blow! It’s just awesome! The interactive floor systems respond to any external movement on its surface. Not just my feet, but it also responds to waving arms or legs (left and right, up and down), jumping, squatting, and any other movements or activities that don’t associate with movement in space. It’s very effective! You can create a pleasant conversation with the floor through the unique effects that depend solely on your movement; because it doesn’t depend on the storage and display style as the rest of the interactive floor projections. For example, if you decided to stomp on these fish, they will randomly swim and float away from you, and their pathway continues to change with the changes in your movements. We can say it’s basically a reaction to every move you make. What is this smart technology? The interactive floor games is an amazing type of technology that works on developing your kids’ knowledge. It also depends on modern and unconventional ways and it’s the smartest way to a mixture of mental and physical activity for kids. The interactive floor gathers all your kids’ activities in one tool, that’s why it’s the best for the future. 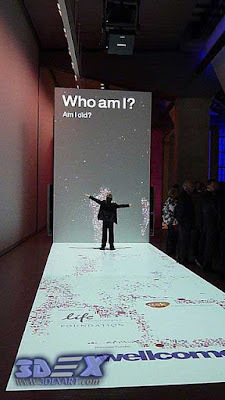 But how does this technology work- the interactive projection systems and live floor systems? 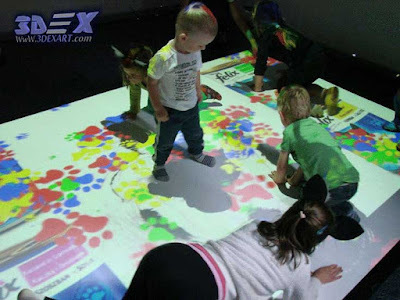 The interactive floor projection works by an interactive projector hung in the ceiling from enough space to allow the images to be displayed on the floor or any other surface. The displayed images are a logical response to your movement, which allows the viewers to easily interact and get an unforgettable audio-visual experience. When touching the live floor, you can change the presentation and create unique and different effects with only minimal movements. 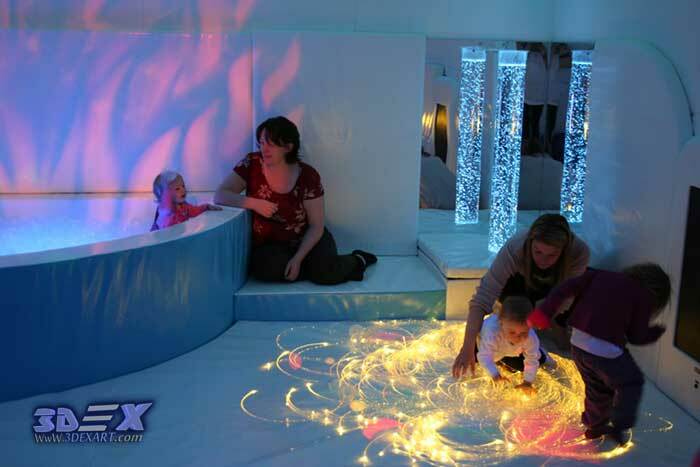 Moreover, to get a multi-sensory experience, the interactive floor system allows you to create sound effects and amplifiers. That’s why it makes you capable of creating a joyful atmosphere that affects all participants. All of that is only one touch away! 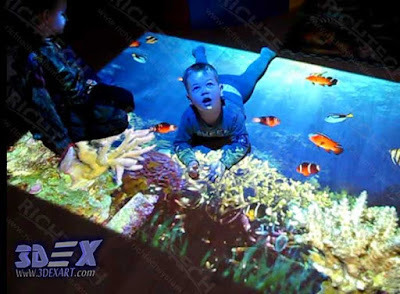 Note: interactive display systems for floors can work by one projector or more projectors if you want to increase the area of your personal interactive floor. 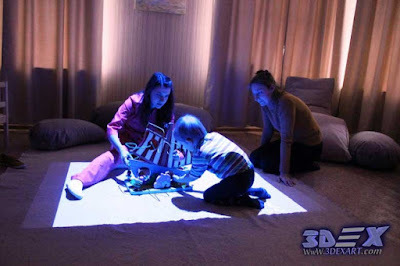 That’s why the number of used projectors depends on the play-area that you want to create on the floor. 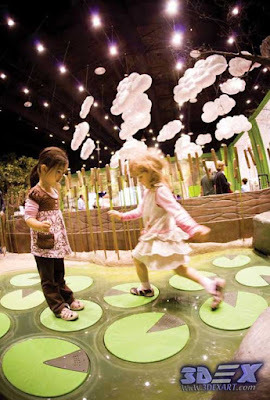 Why did the interactive floor for kids become a trend? 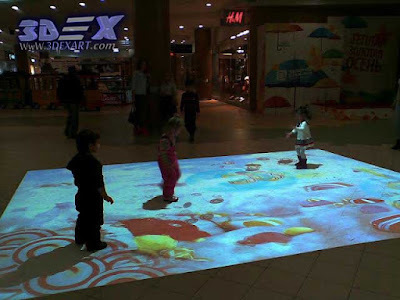 The interactive floor projection games are an exciting and unusual product that gathers all elements of fun in one interactive system. It’s considered a necessary and ideal product for many places for kids as kids’ rooms, kids’ play-areas, kindergarten, schools and educational institutions. Through its group of effects that suits all these needs and is capable of easily getting kids’ attention and motivating them to learn through playing. 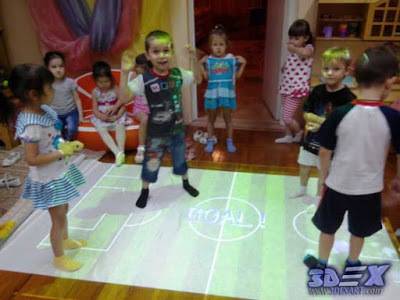 However, the interactive floor isn’t just a fun tool, but it’s also a special platform that helps you activate your kid’s mental and physical activity in all stages of their lives through the education and training programs and the unique follow-up methods that these live systems give you. The unique feature of this technology is realized through its capability to interact not only with a kid or a person but with any number of people that’s why it will help a lot with having your kid acquire collective-work skills. The interactive floor gives you the ultimate freedom to add personal modifications and customizations made on an individual basis. It also allows you to change any game according to different circumstances. Can you imagine when the weather is cold? Why don’t you play beach football with your kids indoors? 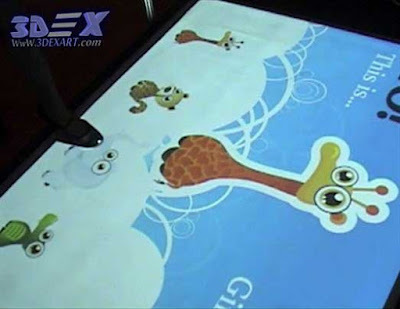 The live or interactive floor can change any surface or area into an unforgettable gaming platform for kids and adults. While kids are watching interactive floor games, they feel the need for emotional discharge through effective participation in these motivational games. 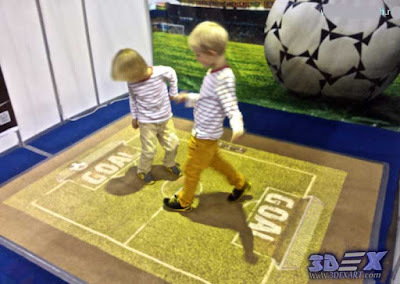 Despite the surrounding circumstances (time – climate…etc) and with the infinite number of interesting interactive games presented by the interactive floor, kids can play football by the ocean! If you gave birth to a child or more, it’s one tool that can provide your kids with the fun and entertainment at all their ages and with all their abilities. Kids can use it individually and personally or collectively…. Just one interactive floor projection game. In addition to that, it gives you the ability to join your kids for fun play-time through running or jumping, and it provides you and your family with positive emotions. The manufacturers and developers of the interactive floor divided interactive and live games into 2 groups: educational games and entertaining games. There are a variety of popular interactive projections and games like inflammation balloons, fish floats away and an infinite number of high-quality effects. Just choose what suits your kids. The feature that no other type of floor has. The interactive floor isn’t just able to give you settings to customize games and different effects, it also helps you invent games and unique effects through ready tools and unlimited sounds, backgrounds, and programs that help you make a personalized game. Create a game for your kid’s personality! After the good installation of the interactive projector, these interactive systems are considered very safe. All its effects are basically formative effects, there is no actual physical contact with the kids or participants’ bodies that’s why the probability of risks and damages is zero. This feature is what makes a difference between the interactive live floor projector and other projectors. We often find it difficult to make it easy for kids to learn through traditional tools and ways, but with the ways the interactive floor presents, no more difficulties should be found again. Live floors help developing kids through a comprehensive practice of various activities in the field of education by engaging students and kids of all ages with respect to the students’ individual abilities. The students and educated kids’ attachment to this educational tool made it one of the most important motivational factors that make kids go to school dreaming and imagining! Lots of organizations around the world depended on it for its effective methods of developing kids and significantly strengthening their attachment to educational organizations. However, we can’t say that the interactive floor should replace the traditional methods of education, but it’s the best compliment for them. For it gathers all educational tools for you and provides you with effective methods. The most important feature of teaching using interactive methods is that it’s logically understood by most kids and students nowadays, especially after the spread of smartphones. 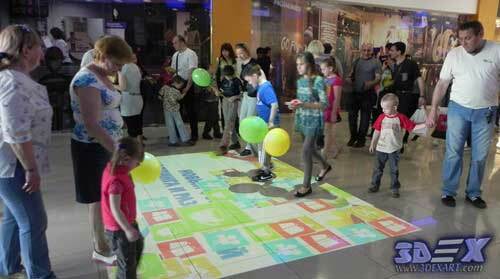 The live floor system is one of the dynamic interactive systems that added attraction and excitement to a variety of big event for kids (kids’ festivals…etc.) This smart interactive system allows you to manage unforgettable celebrations and parties that stay in kids and adults’ memories forever. 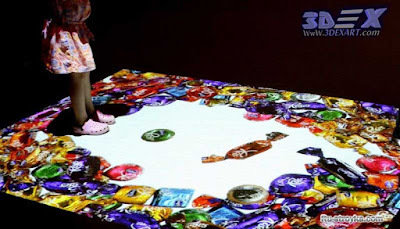 Moreover, the interactive floor is a suitable tool for all kinds of celebrations indoors and outdoors because it’s the most suitable in crowded and public places for how it can interact with any number of kids within the projection space. That’s why it’s the best solution and way for entertaining your kids and the rest of your family. This technology was used by well-known events agencies for organizing concerts and festivals for kids for its ability to attract kids and parents’ attention and participation effectively. Using this kind of interaction systems, you can organize an event for your kids by adding more entertainment, excitement, and effectiveness that you won’t find combined in any other entertainment tool. If you’re one of those who owns a brand for kids, you can diversify the opening program of a new business or add a new mark to your advertising methods, it’ll be an amazing surprise and all kids will be strongly attached to your brand in the company’s advertisements. 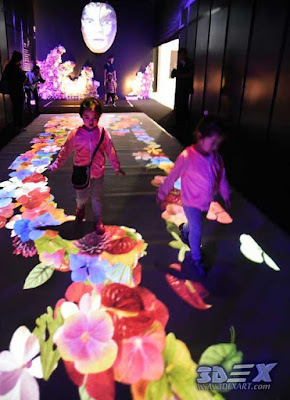 That’s because the interactive floor gives you the ability to organize and present offers (fashion – games – offers for different products for kids…etc) that can amazingly catch all kids’ attention. Now, the ultimately important feature of interactive systems and its use in ads for kids’ brands is that it presents ads for the expected audience -that is the child- in a nonintrusive or annoying way. In fact, they can attract the child's attention and force him to smile. Interactive floors and live systems strongly stormed the kids’ world for its unique and exclusive features in all the aspects we discussed earlier. It was actually used in lots of kids’ places like schools (special and mainstream), nurseries, pre-schools, play centers, day-care settings, respite units, health centers, hospices, care homes, and hospitals. 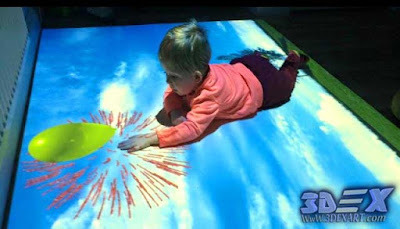 That’s why we’ll present to you the features of using the interactive floor technology in the most famous places that strongly depended on it and some helpful ideas that will guide you when it comes to using interactive and live floor systems for your kids. 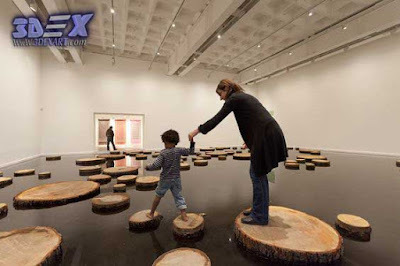 The interactive floor is considered an exclusive and modern solution for you if you want to develop your house and add a joyful, entertaining atmosphere and gain positive energy for you and all your family members. Not only that! Do you want your house to look unique? Or want to design an interesting room for your children? Are you bored with continuously organizing and planning holidays inside your house? The interactive floor provides you with an adequate answer to all these questions and queries. In addition to that, it also provides your kids with much more than that. The interactive and live floor projector in the house is the best way to enhance and develop your kids through effective interaction with high-quality effects that provoke the imagination to wander! The effect of interactive systems on kids is showcased through the kid’s positive reactions and the follow-up on his growth stages and the development of his skills as well as mental and physical abilities. Next, to that comes the surprising development of kids’ moods! Just by depending on this smart technology, without having to even step outside your doors. It’s also the ultimate salvation of parents of hyperactive children because it has all the special effects that catch the kid’s mind, imagination and attention! Why not when it’s able to bring all children’s games to your house, and help you continuously change the room’s floor and change its atmosphere to any effect that matches your kid’s imagination in every moment (river – ocean – sky – stars…etc.) All these amazing effects are just a touch away. You don’t have to be a magician to keep up with the times. To summarize, interactive floors in children’s rooms will add a bit of imagination! It’s not just capable of entertaining your kids and family, but it can also add unique and attractive effects in the interior of the room. Be unique! facilities including kindergarten and nurseries, schools, education and rehabilitation facilities and other different educational institutions. It presents lots of features that interest the kid personally like the quality of the images displayed on the floor that has a positive effect on the child’s mentality. It seems real! Moreover, it strongly contributes to the child’s adaptation to new circumstances and the development of their social skills. It’s also one of the most helpful ways to have fun while learning, which helps the child explore the world around him. For instance, kindergartens or nurseries can select the suitable content for age, and the suitable different educational games that children discover the world through. 1- The ability to distinguish colors and shapes from objects. Identifying animals, birds, plants, etc. Learning the alphabet for in different and unique ways. Learning other different languages in innovative ways. Acquiring technical skills like learning music or playing the electronic piano. Learning traffic rules, and other infinite skills which will be provided to your kids or students by the live and interactive systems. 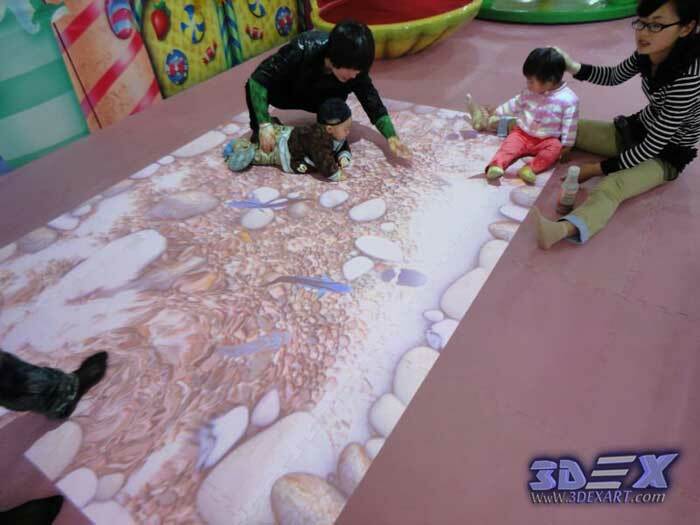 Interactive games and educational entertaining programs specialized for nurseries were built or simply designed by interactive floors experts and developers and researchers specializing in effective learning. 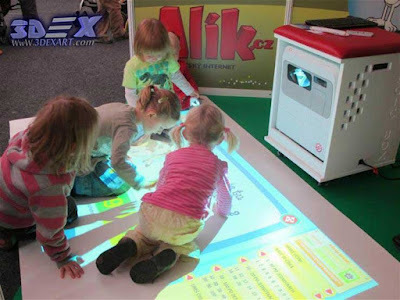 The current use of interactive floor systems is not only in kindergartens, but it’s already qualified enough to be used in various educational institutions for all ages through the unlimited, unique and various effects that can attract everyone’s attention. 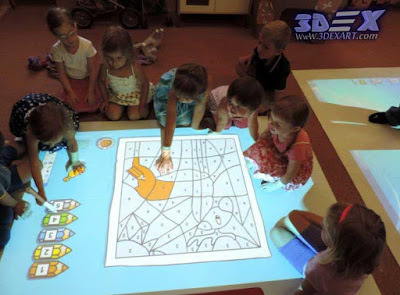 The interactive floor for kids can be used during the learning and training phase in effective ways. One of which is the high-quality sensor and bright images that serve as a way to change usual, traditional lessons into interesting ones that excite and engages students effectively. 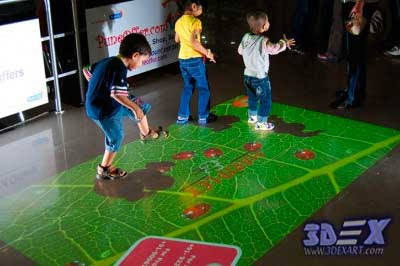 Besides, interactive floor systems make kids and students very interested and determined when it comes to studying. For they approach lessons and interactive sessions to perform tasks in better ways through innovative ways of displaying. The smartest tool that helps you diversify the methods and ways of learning in different educational establishments for children and adults. It’s also worth mentioning that the use of live floors in the learning processes along with the normal teaching methods provided excellent, unexpected results. Due to the physical effort required by most entertainment games, which is a huge problem for those kids who suffer from some difficulties in physical or cognitive development, interactive floors presents solutions and methods specialized for these cases (Slow or delayed physical growth, delayed mental development, autism, etc.) since the demand on live system projectors increased by owners and managers of various care and rehabilitation centers. In addition, the vast majority of educational and rehabilitation activities in care homes depend on direct contact between the child and the caregiver, but there are some children who suffer from this kind of problems which makes them disqualified for that. That’s what made the interactive floor the best and fastest tool to develop these children’s skills and abilities. It also gives them the possibility of taking actions and movements as well as gaining lots of positive energy without direct contact with adults but, of course, under their supervision. Interactive games and activities are considered a good mediator between autistic kids and the rehabilitation environment in sanatoriums, rehabilitation centers and houses. The difficulty in social communications and the lack of communication skills impedes the entry of autistic kids into the education process and rehabilitation using normal rehabilitation methods. That’s why the reform and development center experts looked for the shortest ways to a child’s heart and used effective methods with respect to each kid’s special features. This technology was strongly involved in rehabilitation processes, which made it the best tool for those kids who suffer from sensory impairment (autism); and experts & developers can help and positively affect the child by the special effects made for that, especially through playing with animations and being emotionally attached to them, which pours into the child’s benefit during the rehabilitation process. The kid interacts with the floor every time, which makes you watch their joy as he achieves the missions required on the floor. After their success each time they complete a task or accomplish a mission the teacher levels up the difficulty and complication, which helps develop and grow the kid’s skills. Also, and to this day, developers are working on creating interactive methods that will expand the sensory and communicative experience of these children. Live systems are the best way to make a dancing floor in clubs without preparation and expensive costs each time. Also, competitions can be organized between kids and groups with the help of the unlimited settings the interactive floor system gives you. The interactive floor programs allow kids to divide the projection – or the projector’s image on the floor- into several parts that are why it affects all kids and players and gives them a chance to participate and compete in very effective, motivational ways. It also counts as a perfect chance to shed light on your personal club and make it different than other clubs (especially when it comes to competitions between clubs and special teams), increase effective training and find a common language for kids and players. How do interactive floors and live systems affect your children? teaching kids how to play on the live floor is actually unnecessary! Just point your kids towards it and show them the principle, in a moment kids will explode into gaming and joy! 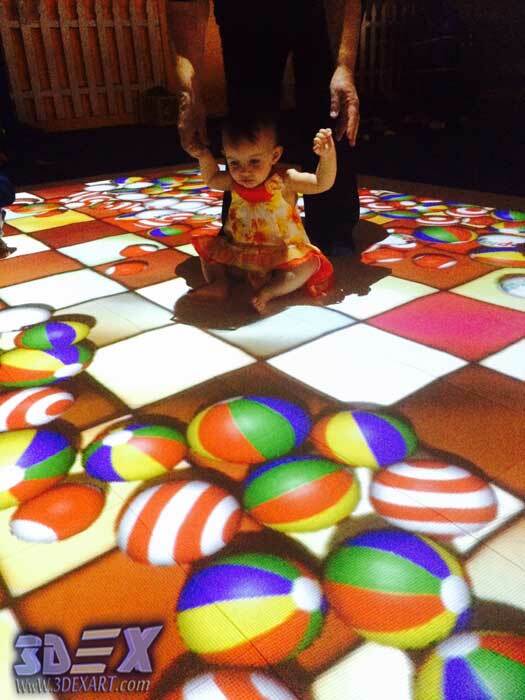 Unlike lots of traditional children’s games, the interactive projection floor reacts immediately to any of the kids’ movements, which creates some sort of an interactive communication between the floor and kids. The live floor technology is experiencing an increased interest in continuous innovation and development to actively participate in the development of your children's skills at all stages of their lives. It helps solve speech problems, contributes to sports development and creates a special aesthetic environment for kids. It also helps in the development and strengthening of infants’ memories, imagination, creativity, and effectiveness, and developing the skills of movement in space, and help in logical thinking and abstraction. To discover its great ability to affect your children, you can make a live floor in any special event for your kids. 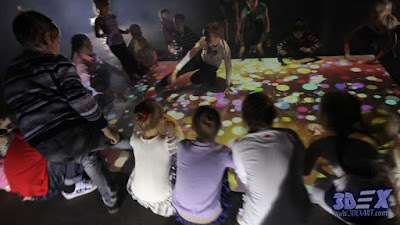 Make an interactive floor and watch! How many children will be attracted to it? How does it affect their attention? After we applied these experiments, 100% of kids from different ages were in fact attracted to the interactive platform in events and big festivals. 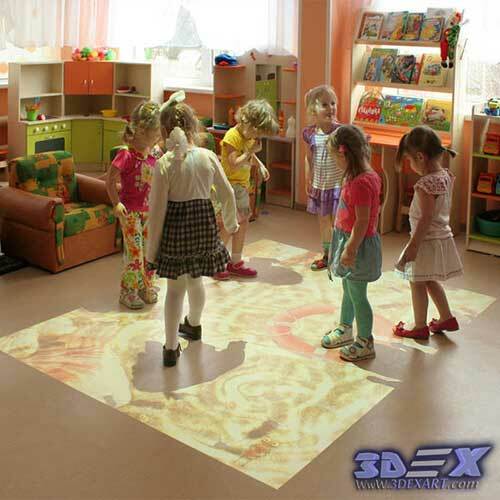 It’s worth mentioning that kids nowadays have the ability to interact with modern gadgets and all smart devices, so it's no surprise that the projection floor system quickly won the hearts of young kids. 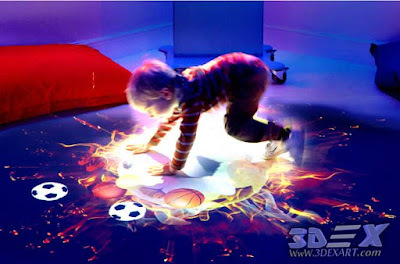 Why should I buy the interactive floor for kids? As you know, every new generation differs greatly from the previous one (the eternal conflict between parents and kids) including the generation’s technical and scientific development. Moreover, in today's world, we can speak of the fact that even within a generation there may be great differences - because of the rapid and sudden development of the world around us. With the development of learning and technology, we must change. Especially in the field of education; if those who call for the education of the new generation and youth don’t keep up with the times and strongly reject everything that’s new, or don’t have the ability to transfer their knowledge to the new generation of children, then they become disqualified for that. But, of course, alongside developing and enhancing teachers it’s just as necessary to develop learning tools. After all that, nowadays it’s hard to find a kid without a smart phone or a mobile phone in their hand, or a kid who doesn’t like watching TV. The kid should be fully aware of modern machines and technical ways that are considered unconventional for kids today and that were used in lots of institutions specialized for kids. 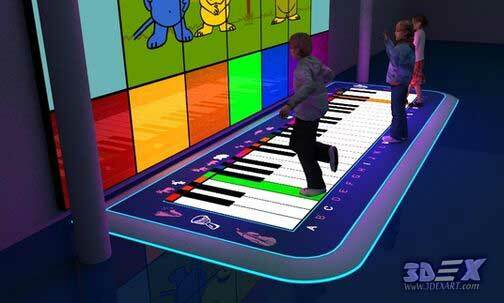 Interactive floors are one of these modern tools and they’re intuitive for any kid. One of the most important things to emphasize again is that interactive projection systems do not pose any danger or damage to kids’ bodies or eyes, unlike most traditional displays such as television and computer. Live floors give you separate forecasts or reports to allow you to assess the level of development of your kids during studying periods; it also can be turned into a platform for playing on holidays and vacations (all solutions in one interactive system). The live projection system software allows you to make an interactive floor for kids the way you see it. In your opinion, how do you expect it? Will it be more effective for your kids?